With this new service it is possible to give a reliable timestamp to any document or multimedia file like contracts, gentlemen’s agreements, articles of association, books, trade marks, storyboards, toons, songs, video and so on. The Waves-NG protocol is being used as a decentralized, trusted, and secure timestamping service. Once connected to the wallet, it is needed to import a previous created account, or generate a new one with a new set of seeds. Once done it will be possible, using the new menu choice, to access the registration page. Check to have at least 50.01 EQUA in your wallet if you would like to test the service. 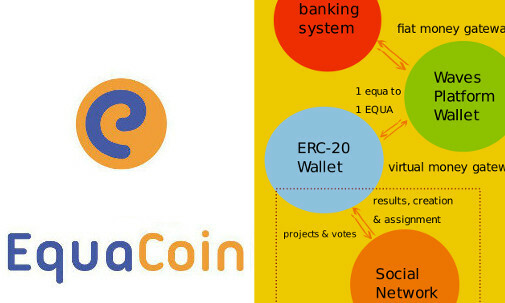 The EquaCoin wallet allows EQUA to pay also transaction fee. You can buy EQUA on DEX. 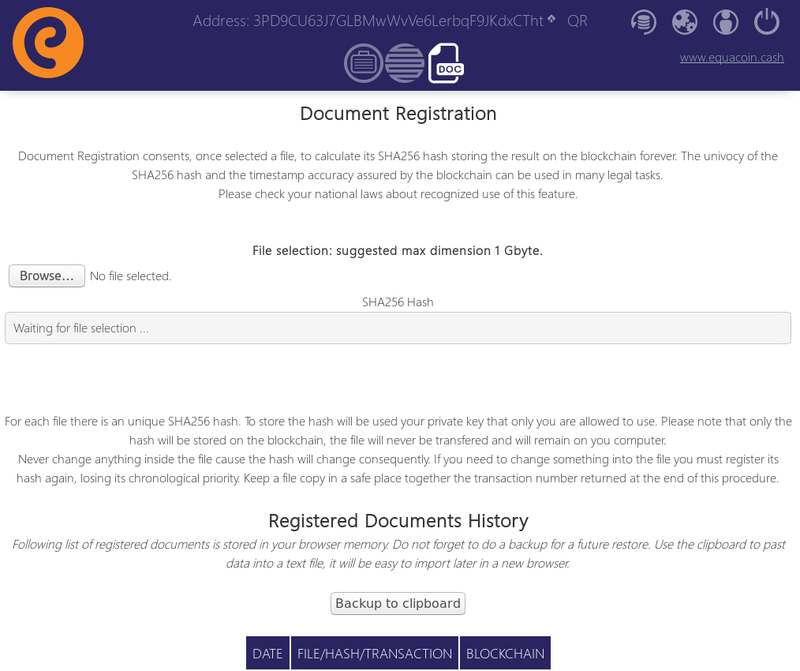 Document Registration consents, once selected a file, to calculate its SHA256 hash storing the result on the blockchain forever. The almost-univocy of the SHA256 hash and the timestamp accuracy assured by the blockchain can be used in many legal tasks. The procedure consents to calculate hash for any file type, suggesting a dimension not exceeding 1Gb. However I have tested it up to 2 Gb with correct result. The time needed to calculate the hash can range from one second to some minutes, depending on the computer capabilities. This feature consents to calculate hash of graphic stuff and movies. It is a great function for designers, artists as well as lawyers and anyone needing to give a chronological definition to his creation. A hash function is any function that can be used to map data of arbitrary size onto data of a fixed size. The values returned by a hash function are called hash values, hash codes, digests, or simply hashes. A cryptographic hash function allows one to easily verify whether some input data map onto a given hash value, but if the input data is unknown it is deliberately difficult to reconstruct it (or any equivalent alternatives) by knowing the stored hash value. This is used for assuring integrity of transmitted data or, in our case, the existence in life of a certain file since the timestamp date. In the EquaCoin wallet has been used a SHA-256 algorithm to generate an almost-unique 256-bit (32-byte) signature for the selected file. Well, it is not easy to investigate the timestamp accuracy bound to any transaction. As first we can say that all nodes in the Waves blockchain are frequently syncronized with an external time source using NTP. NTP (Network Time Protocol) is a protocol designed to synchronize the clocks of computers over a network. It is one of the oldest Internet client/server protocols and is used worldwide since 30 years ago. A time difference of less than 128ms between server and client is required to maintain NTP synchronization. The typical accuracy on the Internet ranges from about 5ms to 100ms, possibly varying with network delays. In 1999 a survey from MIT Medialab  suggested that 90% of the NTP servers had network delays below 100ms, and about 99% were synchronized within one second to the synchronization peer. The main time source of NTP server can be an atomic clock or a GPS signal. It is clear that for our goals that accuracy is of at least 2 orders better than needs. The second parameter to investigate is the time needed for block generation. As known the Waves-NG protocol is, at present, the fastest available and it can assemble a block each minute composed by many micro-blocks every 2 or 3 seconds. That parameter is consistent with our goals too. 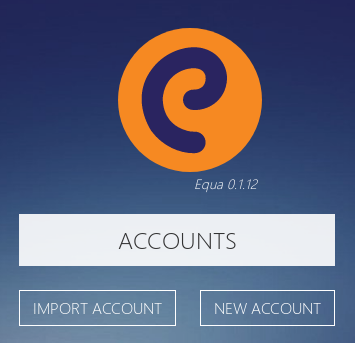 It seems that the new option available in the EquaCoin Wallet can be profitably used for every day timestamp registration requirements. BANKS are stealing our future — How to put an end ? 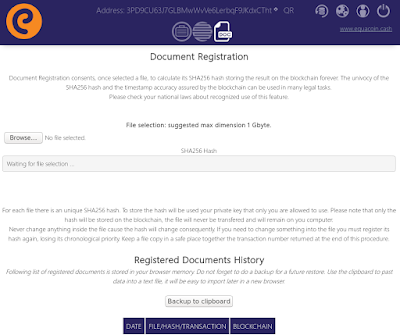 1 - Document registration: upload the original file to equacoin.cash after choosing the DOC option in the purse menu (in this example, we record the article "RIASSERIRE LA PRIMÀZIA DEL SISTEMA BANCARIO SVIZZERO" https://view.publitas.com/p222-14223/riasserire-la-primazia-del-sistema-bancario/page/1 ). and you will find the date and time of the original uploaded document. 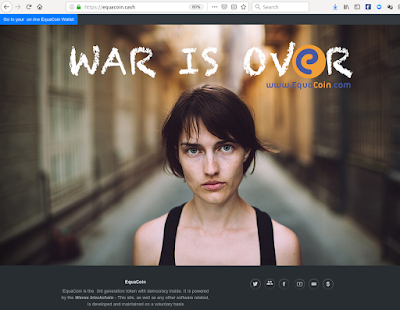 The EquaCoin team is pleased to announce that the EquaCoin project is released to the public on the Ethereum platform under the acronym EQUACASH (EquaCoin Cash). The sources have been published on GitHub and ownership of the initiative is in the public domain. 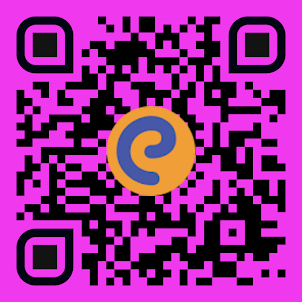 indicating in the field "message" the address of his purse created on Ethereum ERC-20 compatible on which the EQUACASH will be paid. indicating the address of your WAVES purse on which to transfer the EquaCoins. a scioglimento della riserva assunta nell' udienza del 30/8/2000. Il GIP presso il Tribunale di Chieti con decreto depositato in Cancelleria il 9/8/2000 ed eseguito il 10-11/8/2000, ha accolto la richiesta di sequestro dei Simec - Simboli Econometrici di Valore Indotto - avanzata ex art. 321 cpp dalla Procura della Repubblica presso il Tribunale di Chieti con istanza dell' 8/8/2000, ponendo a fondamento del “fumus” dell’istanza la verosimile violazione del disposto di cui agli artt 11. 106. 130 e 132 D L vo 385/93 (cd Testo Unico in materia bancaria). Avverso la predetta determinazione cautelare e insorto il prof Giacinto Auriti, ideatore dell'iniziativa Simec, sollevando motivi sia di rito che di merito e sostanzialmente ribadendo l’esclusivo rilievo civilistico della vicenda nonché l‘assoluta insussistenza di ipotesi di reato nella vicenda inerente alla circolazione dei Simec medesimi. L’Auriti sottolineava, altresì, l’importanza scientifica dell’iniziativa, sviluppatasi inizialmente, sul piano teorico, presso la Cattedra di Teoria Generale del Diritto e proseguita, in via attuatìva, in quella di Sociologia del Diritto.